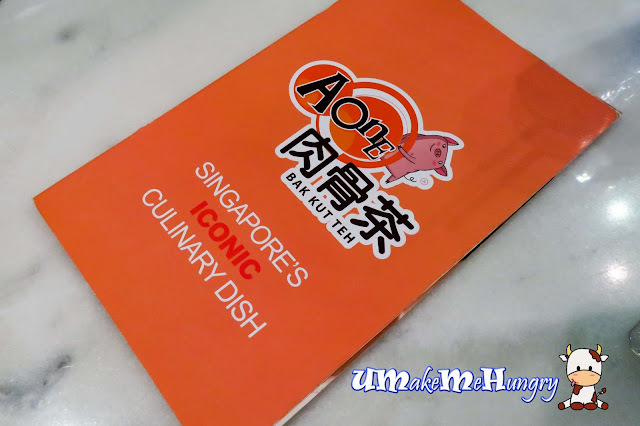 Opening its branch business since late August 2015, A-One group has taken over the lease space of Boston Seafood Shack in Star Vista replacing the Western cuisine into one of the top local delights, Bak Kut Teh. 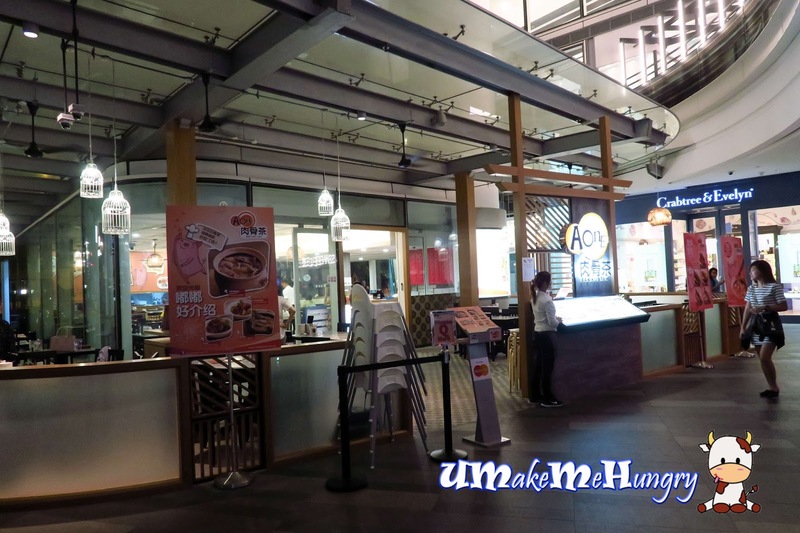 And of course in this Singapore's first naturally cooled malls, patrons have the choice of dining under the fans or inside the restaurant with air conditioned environment. Interior is spacious and bright with ample of walkways. If you are someone who sweat alot while beating the hot claypot soup, dining here will be the best choice as you get to enjoy both fan and air conditioned environment. 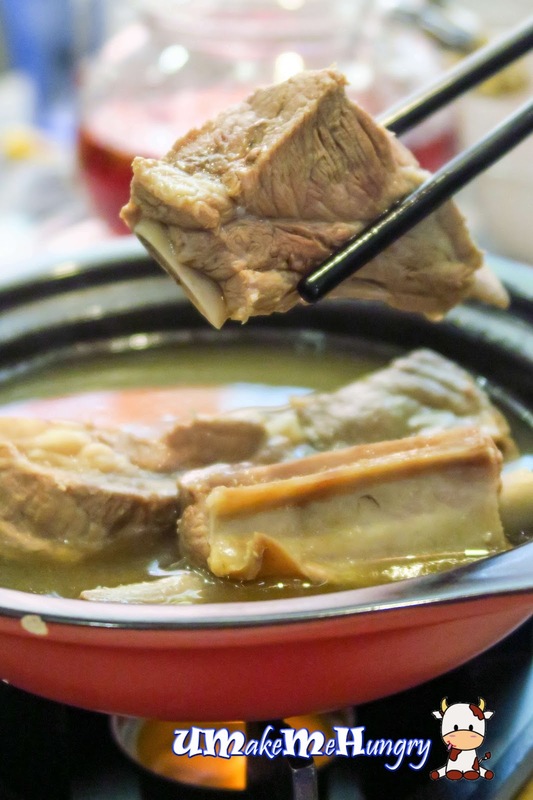 A good flip through the menu and you will get to see a number of Singapore's Iconic dishes in claypot. 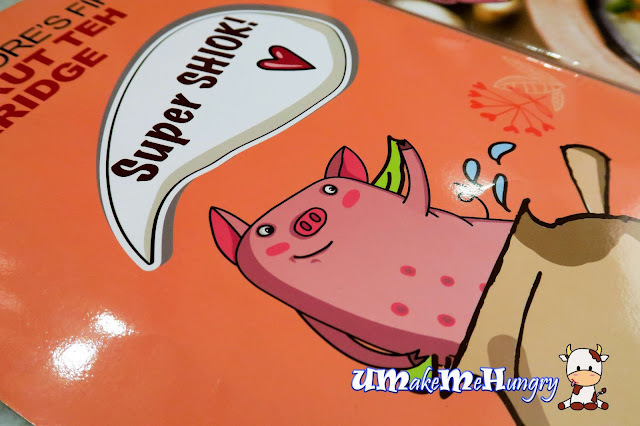 Menu was playfully illustrated with piggy coming out of the claypot, containing Singlish. 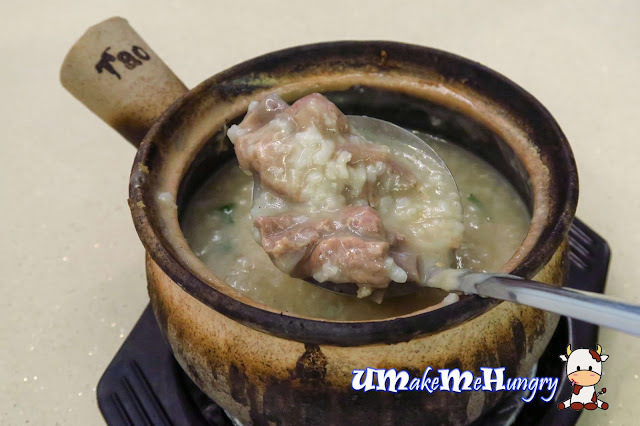 Served in earthen claypot cradled with porridge that was cooked for at least 45 minutes under high pressure cooker, every grain of rice has disintegrated properly yet still retaining some of the rice grain texture instead of just being pure watery. This process of porridge cooking was separated from the cooking of Bak Kut Teh soup which includes the use of premium white pepper. Minced Meat with Meat Ball porridge was naturally flavoured and spiced then. With the used of anchovies, the porridge was sweetened. Meat Ball was bouncy and friendly to the jaws. Since I'm a minced meat lover, it would be great to have an increased portion on that. If you have the chance, do try out their fruit tea and rest assure that you will keep calm and keep drinking tea :). 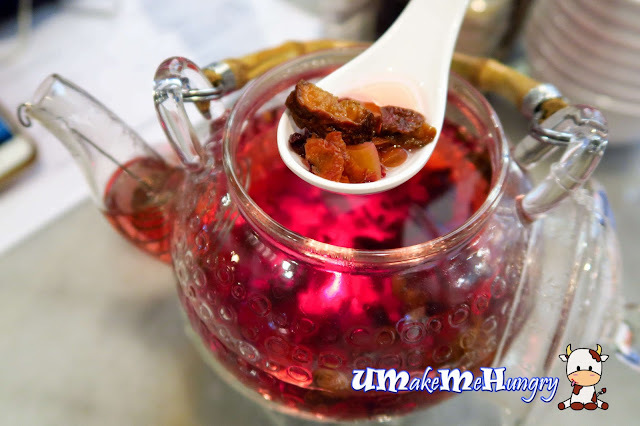 Enjoy the process of looking at the transparent glass teapot while the tea undergo a heating process. 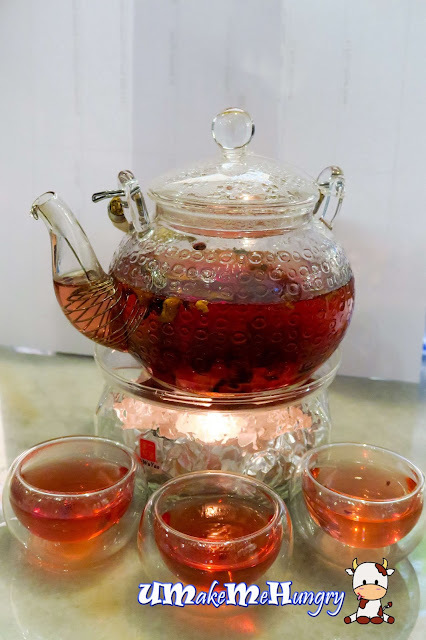 The color of the tea was eye catching as time passed, from the faint orange red into beautiful pink. Diffusion took place under the constant heat from the candle which gave the Tea more powerful flavour from the assorted fruit and flower. It stimulates the appetite and till the point we asked if they are for sale. Unfortunately, not. Let's check out the ingredients! 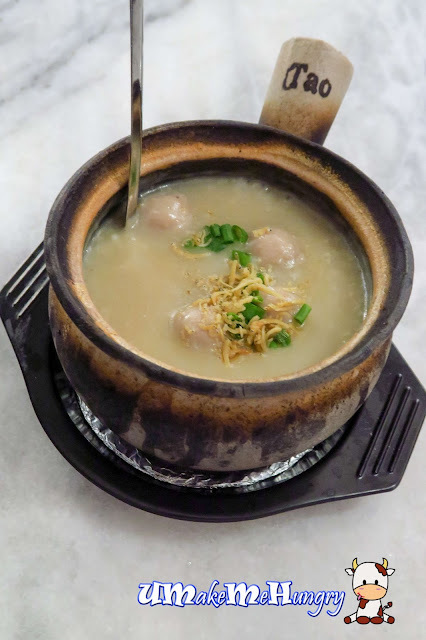 Preparation method for porridge is similar to minced meat with meat ball porridge, just that the ingredients was pork ribs instead. Porridge had more water content as compared to the earlier pot. A good point to note was that the meat was thoroughly cooked and fell off from the bone easily. 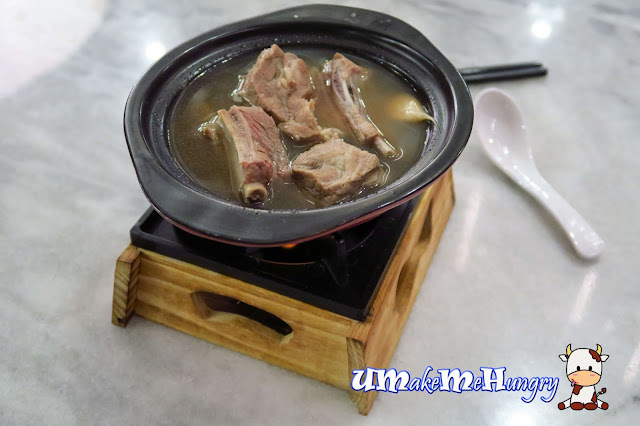 The Pork Ribs Soup, though belongs to the same genre but was different from the porridge we had. They were cooked to simmer for at least 3 hours to obtain its flavour. Soup was generally refillable with attentive service from the staff. Pig Organ Soup has its soup base similar to pork ribs soup and served under the burning fire, The peppery concoction includes, lean meat, liver, intestines and you can even get to taste the garlicky flavour in the soup! One good point to take note is that, if you want to enjoy the tenderness of liver, don't have it over the flame for a long time. So they say Soya Milk and You Tiao has never been apart but I guess I can't have Bak Kut Teh without You Tiao too as I will feel incomplete. 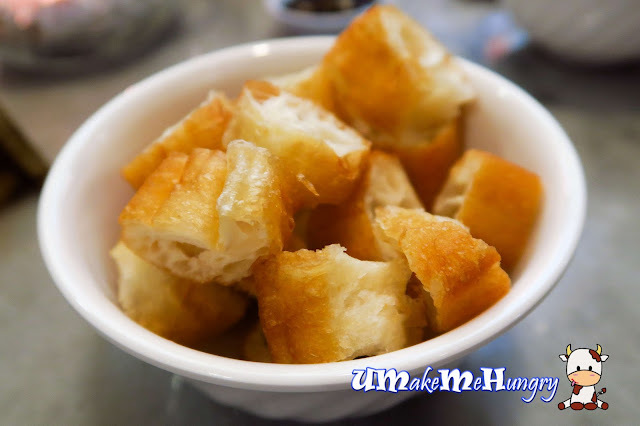 Just dipped these non greasy cut Fried Dough aka "You Tiao" into the bowl of Bak Kut Teh soup. 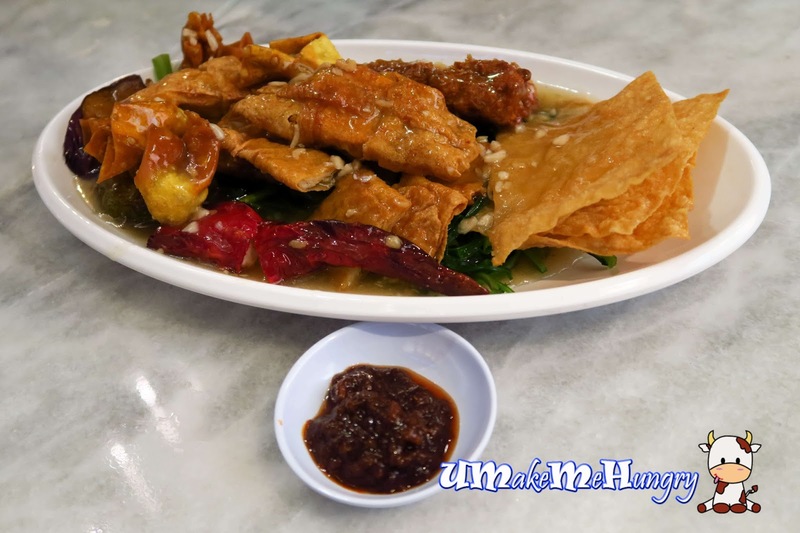 Since the Ampang Yong Tau Foo comes in 3 sizes, we had the medium portion which is good enough for a table of 6 pax. 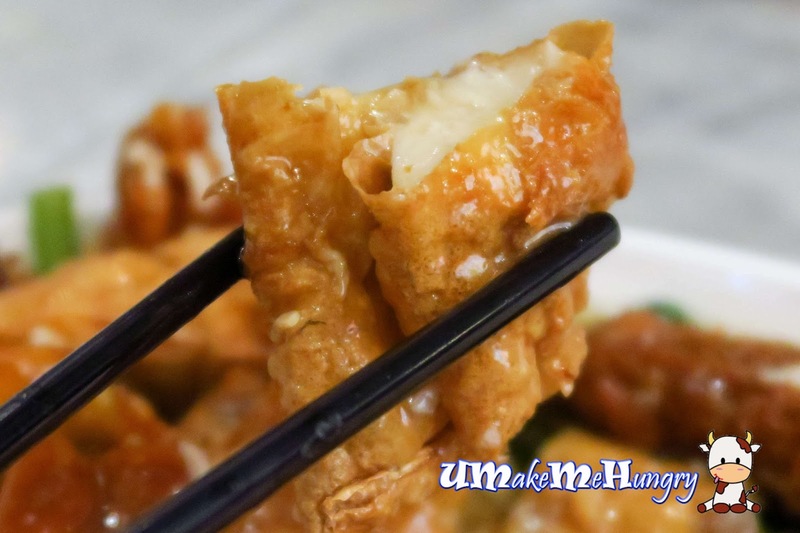 Though it may be a common dish, every item was deep fried into crispiness and drenched using their homemade sauce. Items include, chilli, Tau Gua, Tau Ki, Gor Hiong, bittergourd, dumplings and kang gong. Braised Platter's portion was pleasing with braised processes done in house by themselves from scratch. Braised sauce was inviting yet not overpowering with good use of herbs and spices. Perhaps the only miss here was the varieties of the items on the plate. 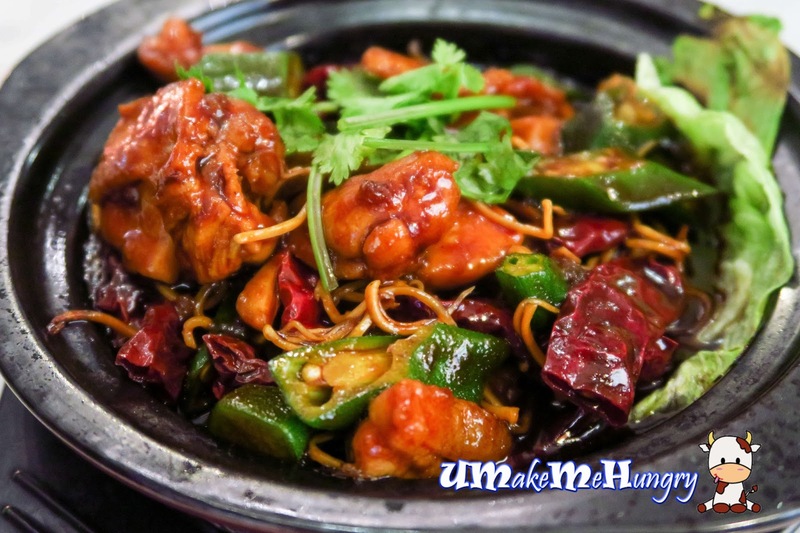 For instance, it will be good to see braised intestines and preserved vegetables on it. Having too much of pork, it was good that we have Dry Bak Kut Teh with Chicken Cubes. The selling point was not only its chicken cubes but also its shredded cuttlefish that gave a strong aromatic hit once it landed onto our table. Sauces used in the dish includes dark and black sauce. 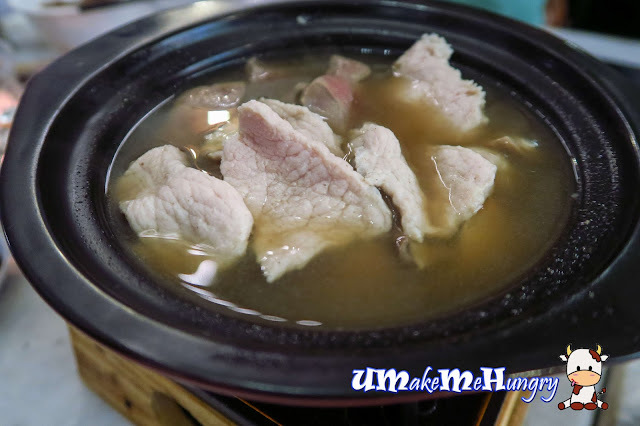 If you dont know, this dish also consist of Bak Kut Teh Soup Base. 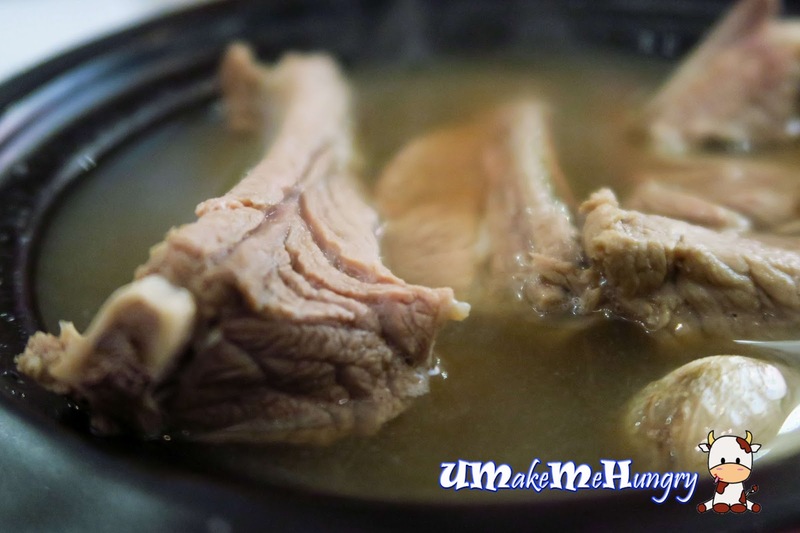 Dry Bak Kut Teh is also available with Pork Ribs too. Some called it the 4 heavenly king! 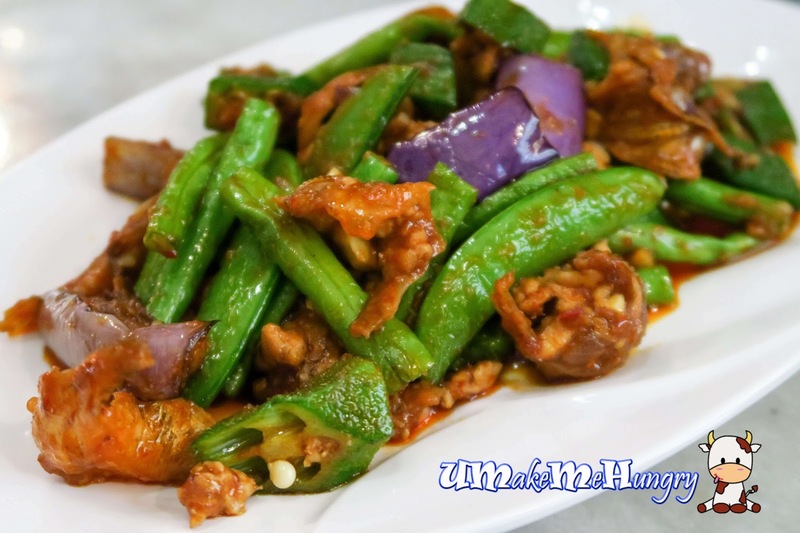 The original creation of this assorted vegetables in Sambal sauce is from Malaysia and mixed vegetables like long beans, brinja, ladies fingers and sweet peas were stirred fried together with minced meat, dried fish and right amount of sambal sauce without being too overpowering. Overall, A-One Bak Kut Teh is a good place where you can enjoy Singapore iconic dishes. 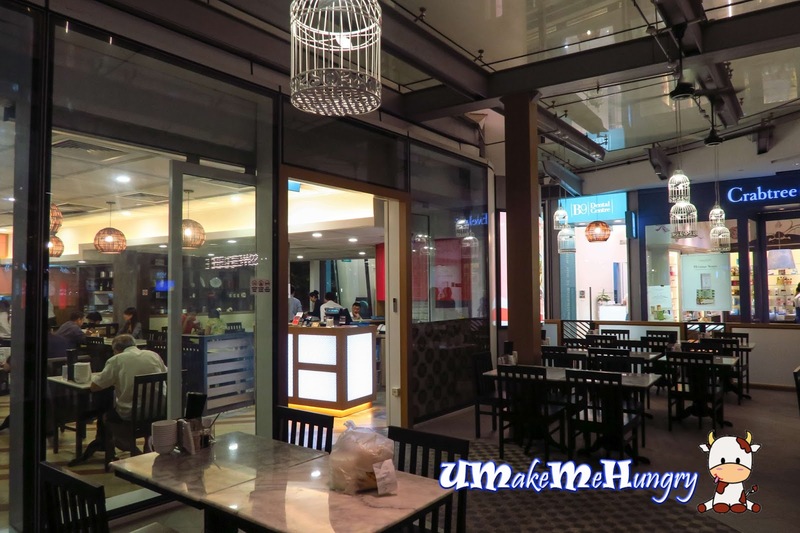 In such a strategic location where business parks and hotels are in the surroundings, it gives foreigner a feel of how our local dishes taste like. Having been to most their claypot houses in Singapore, I would say their meals are fulfilling and close to a heart of Singaporean. This is a media tasting invitation from OpenRice.